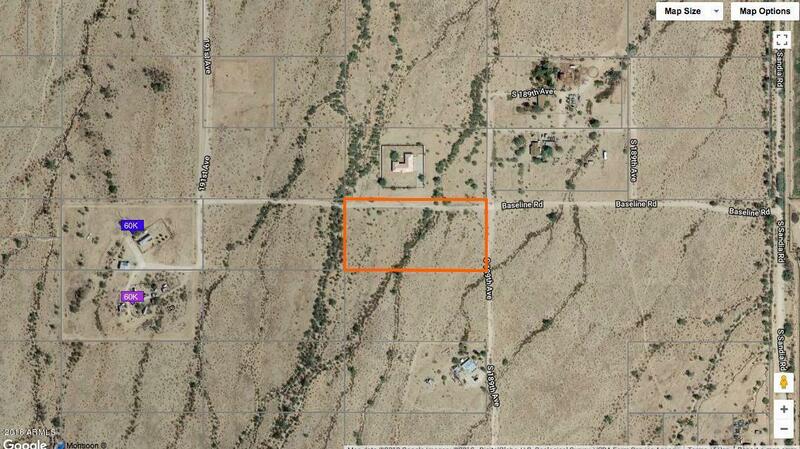 Amazing opportunity to own a 5 acre parcel of unfenced land in beautiful Buckeye, AZ. Ideal for building your estate, agriculture crop, horse ranch or possible subdividing! Enjoy dramatic yet peaceful views of the Estrella Mountains Regional Park. Perfect location for the outdoor enthusiast or an investor looking to build wealth!